Radisson Blu Hotel Pera, unlike many other hotels in the Pera district of Istanbul. 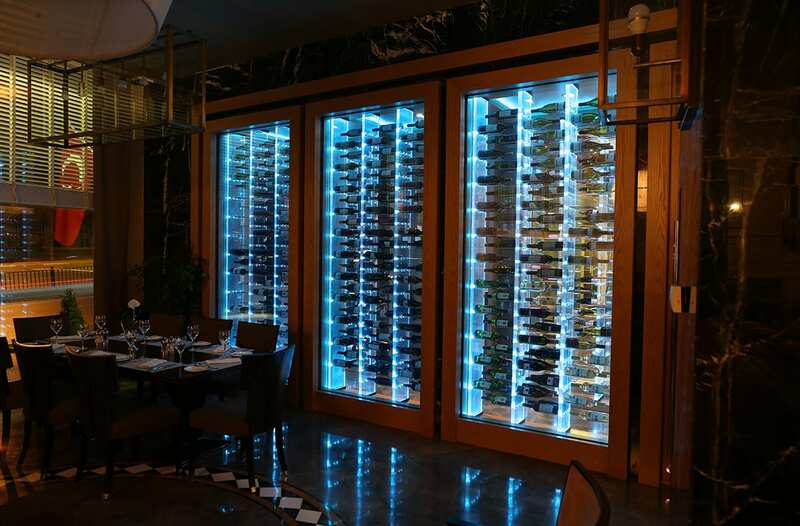 The all day dining restaurant which this wine cellar is a part of is located on the ground level, has windows to the boulevard and is situated right next to the entrance of the hotel. 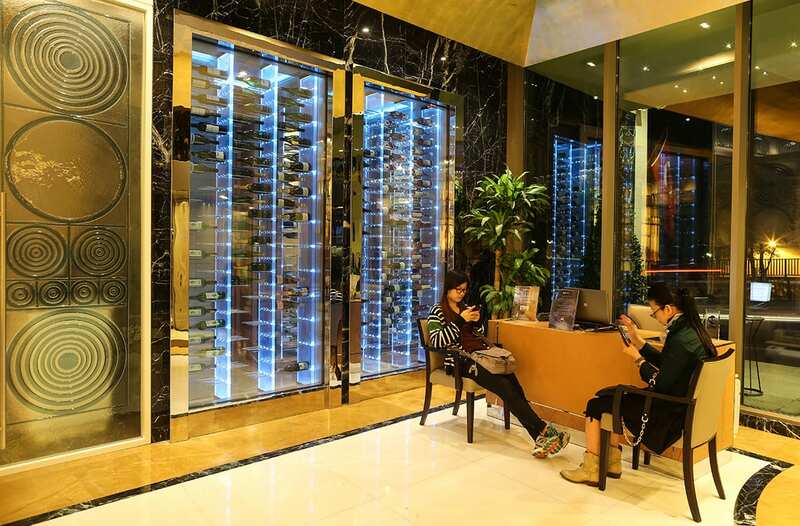 The wine cellar functioning as a divider between the entrance of the hotel and the dining area is clearly visible from the boulevard through the large window panes of the restaurant as well as from the porch of the hotel. 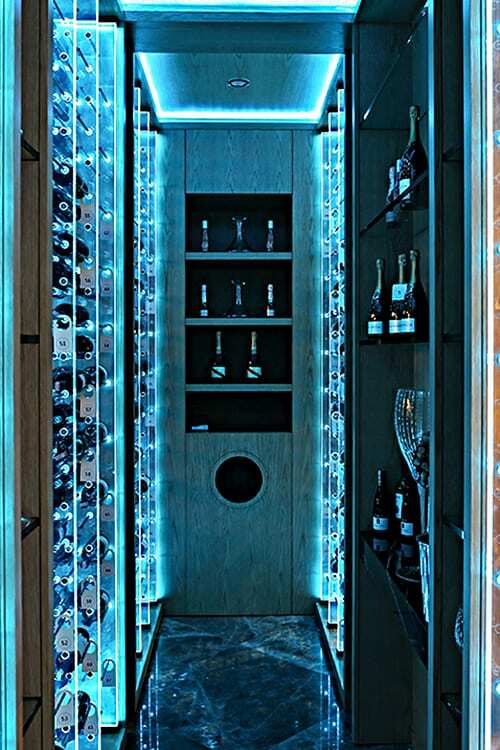 The wine cellar is a curious site to passers-by at street level, some of which admit to be tempted by the striking cellar to peek inside or maybe even have a bottle.